Your Favorite Press Release Gig just got even better. Express Delivery. Get your press release IMMEDIATELY RELEASED. 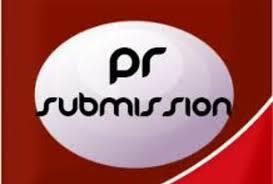 For $40 we will SUBMIT your press release to FOUR PAID PR sites - PrBuzz, ReleaseWire and WorldPressRelease and PressReleasePing in less than 24 hours. Great for SEO and TRAFFIC. PLEASE NOTE THAT THIS GIG IS NOT AVAILABLE ON THE WEEKENDS (SAT, SUN & LATE FRIDAY) AS SBWIRE AND PRBUZZ DO NOT WORK ON THE WEEKEND. ORDERS MADE DURING THAT TIME WILL BE PROCESSED ON MONDAY AND REPORT DELIVERED TUESDAY. NB: SO THERE IS NO DELAY IN HAVING YOUR RELEASEWIRE PR PUBLISHED, PLEASE MAKE SURE YOUR RELEASE IS NOT WRITTEN IN FIRST PERSON. I will in less than 24hrs SubmitPrbuzz, SBwire and WorldPressRelease.org only is ranked 4 out of 5. Based on 9 user reviews.